We’re doing another podcast with Physician on Fire and Passive Income MD. We’ll be recording Thursday morning and it’ll run later this month. What are the areas of the largest financial planning disagreements between the 3 of you? Has your blogging/online work affected your professional relationships with colleagues in any way? What are the things you guys are grateful in 2018? The hardest aspect of retiring from medicine is the finality giving up your skills. I know he plans to retire from his current position, but is he fully shutting it down or is he planning on keeping his anesthesia skills up by doing locums after “retiring”? Does he plan to keep his license active? Take me through the strife of that decision making process to give up those skills. You three cross pollinate each others’ blogs and social media. Any plans in the near future for greater collaboration or new projects? PoF, what was your reaction upon hearing that WCI opened a DAF? What is your favorite online outlet for financial discourse: blog comments, Facebook, Twitter, or other? Sorry, my phone isn’t being buggy with the text field. Any new financial blogs/presences that you’re hooked on currently? WCI, what are your favorite hiking trails in the state of Utah? Have you ever been to Snow Canyon State Park? PoF, what is your favorite style of beer? 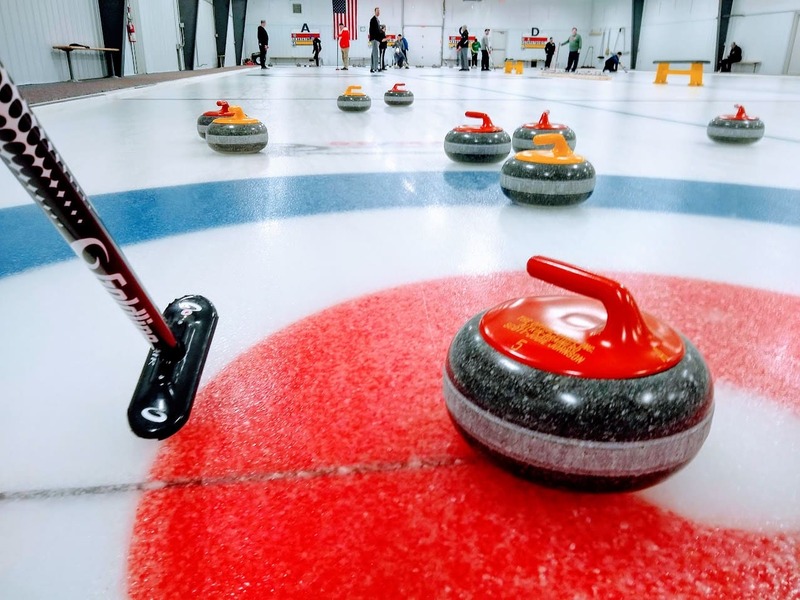 Are there injuries associated with curling? If I recall POF is in early 40s with 2 children and is budgeting roughly $20k/year for health insurance. This seems like one of the most difficult items to plan for over 20 years or so until Medicare. I’d like to know what his thoughts are with regards to its impact on his RE. If you all had been in the same class in med school together, what would your dynamic have been like? Close friends? Barely knowing each other? Competitors? So for PIMD: What is you comfort zone on how much debt to equity ratio you use for your rental properties? Since you live in a HCOL area, how do you find the best deals to make sure the property is cash flow positive? How are you protecting yourself from the “bubble bursting” with the real estate market? What’s the best sport on ice? After all, WCI was a college hockey player. I don’t think PIMD has a horse in this race. I recall PIMD resides in HCOL area (California), whereas WCI and POF reside is LCOL area (Utah and Minnesota). I live in HCOL (NYC area). How does PIMD and his local financially independent physician colleagues cope with HCOL area (as opposed to the docs barely getting by), and what are WCI/POF’s take? Some of us are stuck in HCOL (either by marriage, family commitments and time invested/sunk in our practice). If I had to do it all over again,I would start in a LCOL area for better work/life balance. Somehow, I am getting by and can technically RE (no student loans, prodigious saving, frugal spouse who also is a physician and considerable luck), but I am working until my kids are through most of college to get over hump. Thanks for all that you do, WCI, POF and PIMD. Each of you…What was your greatest financial mistake? I think people learn from their mistakes and others can learn from them. Now that each of you are internet famous what is next? Which format do each of you most enjoy….blog, forum, facebook, podcast? How do you think of topics? How will each of you deal with CEA? It is very, very addictive. Having bee has been described as the “capacity and willingness to develop, organize and manage a business venture along with any of its risks in order to make a profit” and a NEED to rinse and repeat. Some people keep “working” although not for pay-Buffet. Others switch gears to non-profit (Gates). Others fail with CEA. Keep going back to building something new ( Allen, Cuban). Is it emotionally possible to live your life without moving on to the next project? The most interesting question you could answer would be the financial terms of the WCI Network, POF, and PIMD. Like does WCI own 25% of the POF website? Of course, I understand if you don’t want to disclose the terms.